Special events are our specialty at Tylney Park, make sure that you pay us a visit in 2019. Management, staff and members at Tylney Park Golf Club welcome all golfers to hold their golf society/corporate event at their first class golf course. With a friendly clubhouse, well stocked pro-shop, good practice facilities, extensive menu options and a scenic external eating area you are assured of the perfect day. 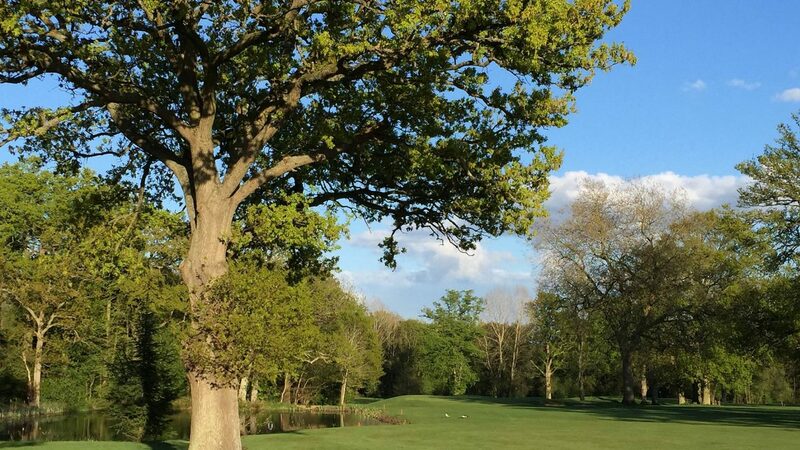 Tylney Park is perhaps one of the most peaceful golf courses and yet has easy access from roads such as the M3 and within easy reach from the towns, such as, Basingstoke, Fleet, Farnborough, Camberley and Farnham. Spread over 200 acres of beautiful Hampshire countryside there are very few places closer to London that you can get a true feeling of being away from anything “man-made”. The mature trees and some of the largest undulating greens are the main features of the course ensuring an attractive and challenging test; just being on the putting surface is not sufficient to ensure a good score. But as the course offers 5 tee positions Tylney Park can be set up to enable golfers of all standards to enjoy their day. Summer or winter we have the package for you. You may choose to opt for one of our most popular set packages or create a totally bespoke package for your group; either way, our dedicated team will ensure that your day is special. 18, 27 and 36 hole packages are available with breakfast, lunch and evening dining options, freshly prepared by our Club Head Chef. Winter season November to February Packages start from £30pp. Summer season March to October Packages start from £35pp. Located just north of the M3 junction 5 in a village called Rotherwick, near Hook, Hampshire. Call direct for our best rates 01256-762079 (option 1). The club can recommend excellent hotels within close proximity, including Tylney Hall Hotel. Golf Shop, Driving Range, Trolley Hire, Buggy Hire, Club Hire.